Rajasthan is a land of vibrant culture and colourful festivals. There are some festivals that have gained worldwide popularity. One of them is the Rajasthan Desert Festival, held in the desert city of Jaisalmer. For three consecutive days, Jaisalmer becomes a hub of cultural activities and performances during the festival. Camel processions, musical performances, dance shows and display of fireworks create an enchanting scene in at the festival. If you are planning to visit Rajasthan, the Rajasthan Desert Festival Tour is your golden opportunity to experience the charming beauty of Rajasthan at its best. The experience will stick into your memory forever. Start with a fun-filled sightseeing tour of Delhi. Next day, head for Agra to experience the astounding beauty of the Taj Mahal. Also visit the gigantic Agra Fort and other Mughal era attractions before reaching Jaipur, the 'Pink City'. When in Jaipur, visit the Amber Fort, the Hawa Mahal, the City Palace and Jantar Mantar. Drive to the holy town of Pushkar while visiting the shrine of Hazrat Khwaja Moinuddin Chishti at Ajmer en route. After exploring the town of Pushkar, head for Jodhpur, a popular desert city. See the massive Mehrangarh Fort, built by Rao Jodha. Spend some time at the exquisite Umaid Bhawan Palace and view the Jaswant Thada. 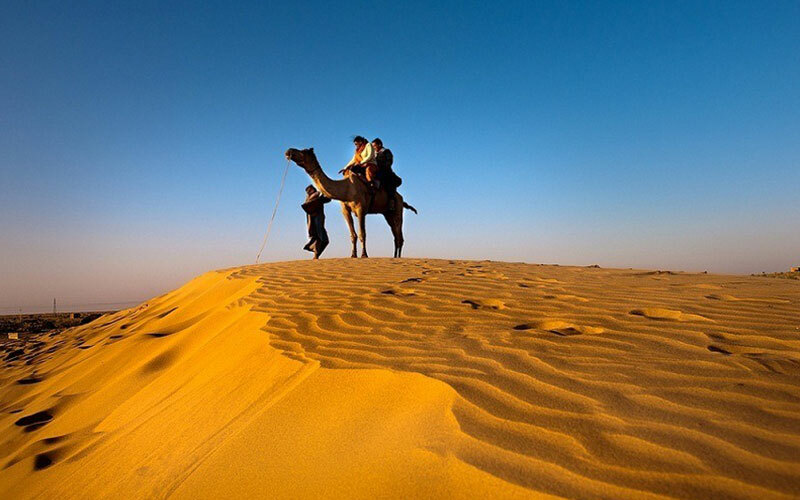 Next, proceed to Jaisalmer, famous for its forts, havelis and ofcourse the Rajasthan Desert Festival. You'll have plenty of time to enjoy the desert festival and take part in festive celebrations. Bikaner is next on the list. Visit such famous attractions as the Junagarh Fort, Lalgarh Palace, Gajner Palace – and the camel breeding farm. Drive to Mandawa to see a number of attractive havelis of the Rajput era. Get back to Delhi for your onward journey or your flight back home. On your arrival at Delhi International airport Max Holidays will meet you and transfer to your hotel. After completing check in formalities you can relax at the hotel. Overnight at Delhi. After early breakfast, we drive to the city of Taj – Agra, along one of the India’s finest freeways. Agra was famous as capital of Mughal Empire, and now known as the city of Taj Mahal. Upon arrival in Agra, check in to the hotel. After relaxation and refreshment we will proceed to visit the famous Agra fort signifying the story of victory and successful rule of Mughals. 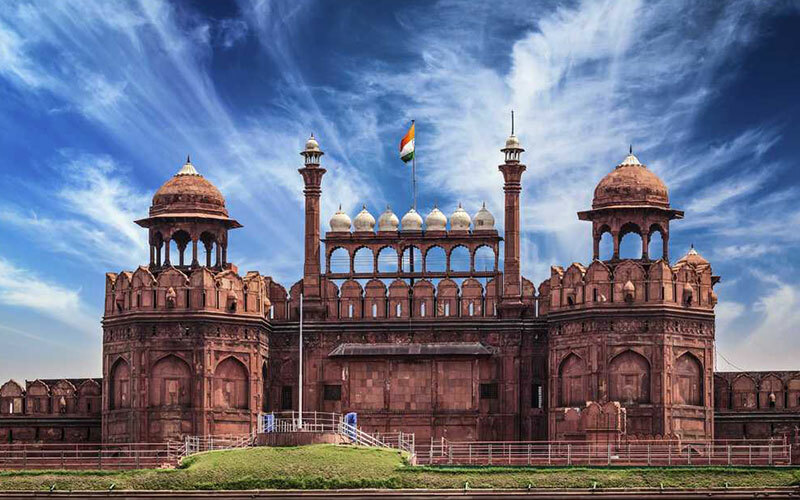 Made mostly of red sandstone it is strikingly similar to the Red Fort in Delhi. Within the fort there are number of significant buildings in which most prominent are diwan-e-khas, diwan-e-aam, buland darwaza. Evening at sunset we will visit to Taj Mahal, built by the Shah Jahan in the remembrance of his wife Mumtaz Mahal. Though made up of the white marble, Taj glow’s in the light of the full moon. You can also have an option to see the Taj Mahal at sunrise. As it is said, while the sun rises, the colour of Taj Mahal dome changes with the change of day light. 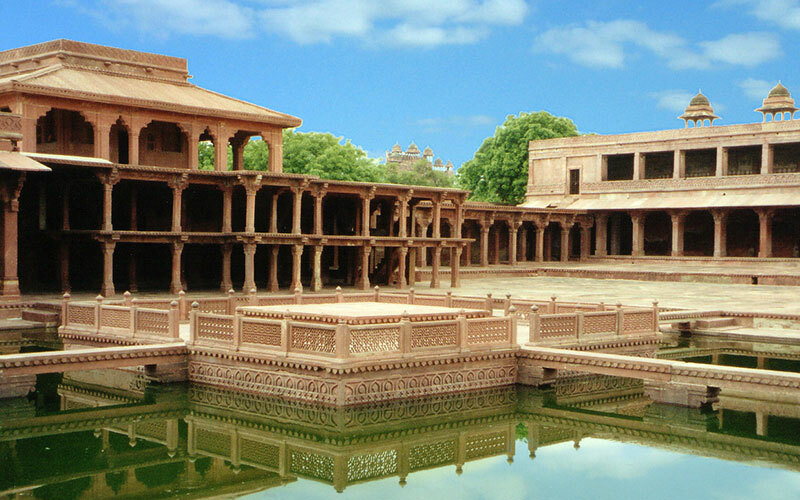 After breakfast, we will head towards the ghost city of Fatehpur Sikri (a city of victory), one of the finest examples of Mughal architectural also known as the ghost city due to scarcity of water. 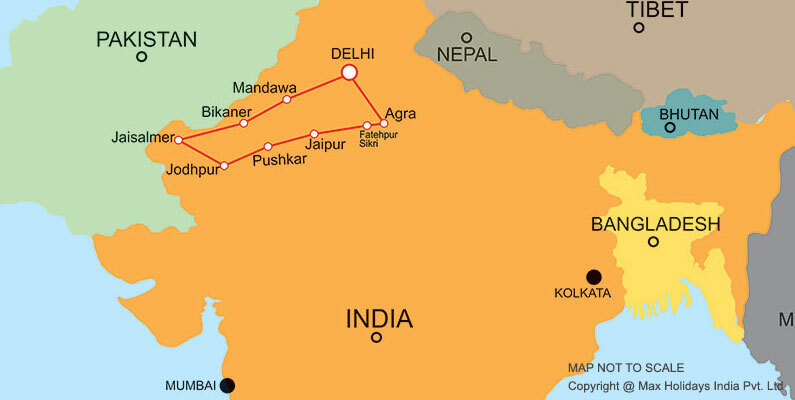 From here, continue our drive to Jaipur – a city of Maharaja Sawai Jai Singh II, also known as Pink city. On arrival, check in at the hotel. Overnight is at hotel. After breakfast, you leave for sightseeing of Pink City of Jaipur. The sightseeing begins with the visit to Amber fort enjoying the elephant ride. Later visit the astronomical observatory, Jantar Mantar followed by City Palace. The palace has unique collection of paintings, royal costumes, jewellery and arms and ammunitions etc. Jaipur is famous for its colourful bazaars, stones, jewellery and fabrics. Evening is free to walk through the bapu bazaar, explore the local footwears, and traditional clothes. This morning drive to Pushkar, enroute visiting Dargarh Shareef of Hazrat Khwaja Moinuddin Chishty at Ajmer, one of the most holy pilgrimage centers. From here, continue our drive to Pushkar, on arrival, check in at hotel. After wash and change, we will visit to Brahma temple, dedicated to Brahma god, the creator of universe. 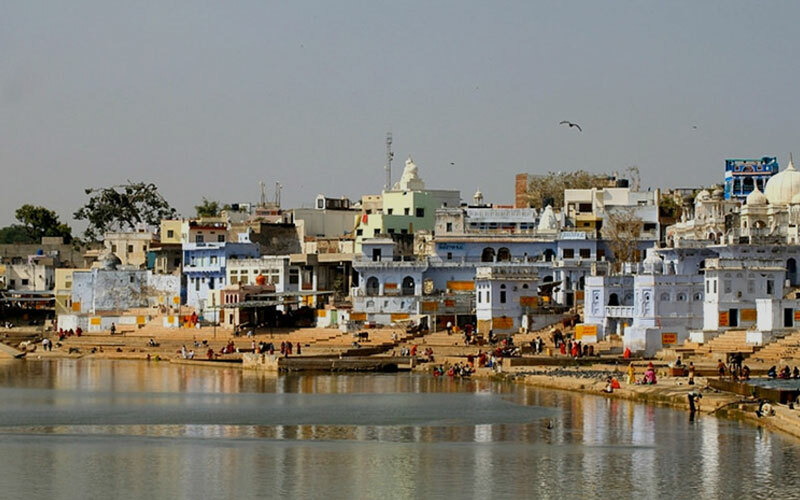 Head towards Pushkar Lake, which is a holy lake and it is believed, that people who take a holy dip in this, will be free from their bad deeds. Morning drive to Jodhpur, a city with the richness of history and architecture. Every monument of the Jodhpur is worth visiting, and can be a paradise to the photography lovers. After reaching Jodhpur, check into your hotel. After refreshment, we will visit Mehrangarh Fort symbol of victory constructed by Rao Jodha. Museums at the fort are very well preserved and maintained. From here visit Jaswant Thada, which is commemorating of rulers of Jodhpur. Architecture can be seen here from every corner of this place, built with the marble, along with the small garden and lake. From here we visit to Umaid Bhawan Palace looks like an empire. It was built by the Maharaja Umaid Singh, to prevail over the scarcity of food suffering by the local people. The people used to work here, and in return the Maharaja provide them with the food. Later visit to the Mandore gardens. Night at hotel. Today we proceed to the golden city of Jaisalmer famous for its forts and havelis. Founded by Raja Rawal Jaisal, the city is rich in culture and heritage. On arrival, check into your hotel. After wash and change proceed to visit the Jaisalmer fort or sonar quila made of sand dunes. Like other cities of Rajasthan, Jaisalmer too is rich in its Rajput and Islamic architecture which can be seen in these Havelis of Jaisalmer. The famous havelis are Patwon Ji ki Haveli, Nathmal ji ki Haveli and Salimji ki haveli. Evening enjoy the silent walks at Gadisar lake situated on the outskirts of Jaisalmer. Overnight at the hotel. Full day is at the Desert festival, held in every February; here at the festival you will see the local people of Jaisalmer, wearing big turbans and with long moustaches. There is a competition of turban tying and big moustaches and man with the longest moustaches wins the competition. Women with colourful traditional dresses and big gold and silver jewellery can be seen. Enjoy the musical dance performance by the local trained dancers. You can also buy the souvenirs for your loved ones. From Jaisalmer, we now drive to Bikaner famous as camel country rich in heritage with the number of palaces. Arrive and check in the hotel. Later proceed to visit the fort of Junagarh, Lalgarh Palace, Gajner Palace, blend of Rajasthani, Gujrati and Mughal structure style, evening the camel breeding farm. Overnight stay in the hotel. In the morning drive to Mandawa also known as the Shekhawati. Mandawa is famous for its forts, palaces and havelis. Arrive and check in at hotel Later visit the havelis in which most famous is Gulab Rai Ladia Haveli, Jhunjhunwala Haveli, Murmuria Haveli and much more. After breakfast drive back to Delhi. Upon arrival in Delhi, check into the hotel. Rest of the day is free for last minute packing. Overnight is at hotel. In time, you'll be transferred to international airport for your onward journey.